The new Elegant 'Crocus' styled Manual radiator valve set in the Aged Brass finish. 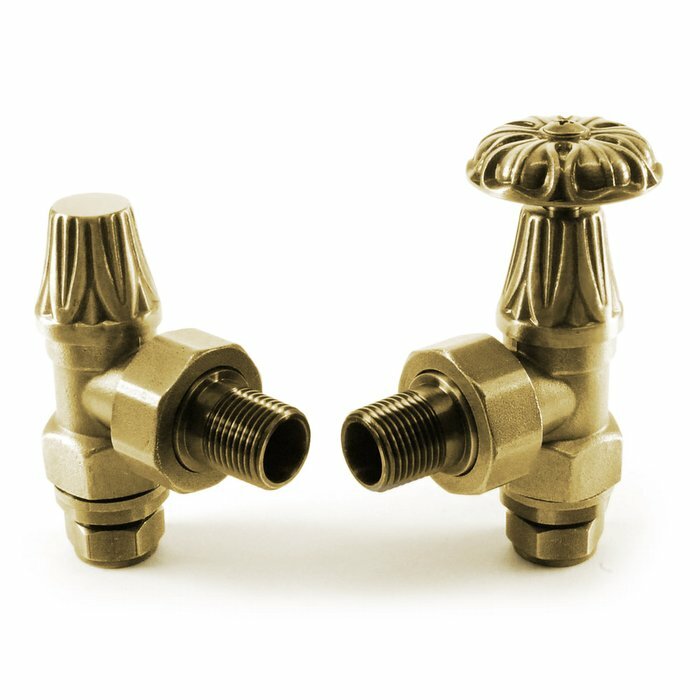 These high-quality valves are complemented with a wonderful period crocus styled head & scrolling and combine both traditional looks with modern technology. The design and finish means they are particularly suited to period properties, but also can also add a traditional feel to contemporary homes. Also available in a TRV (Thermostatic) option. Well worth the extra money to get these valves rather than using modern white ones which spoil the look. 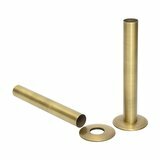 We're pleased you would like to review Crocus Aged Brass Manual Radiator Valve Set. Excellent service and price, many thanks. I bought these valves to go with the Ornate Cast Iron Radiators I also purchased. They are lovely quality and look extremely elegant. Very pleased.